Additional shipping charge of $65.00 for delivery. 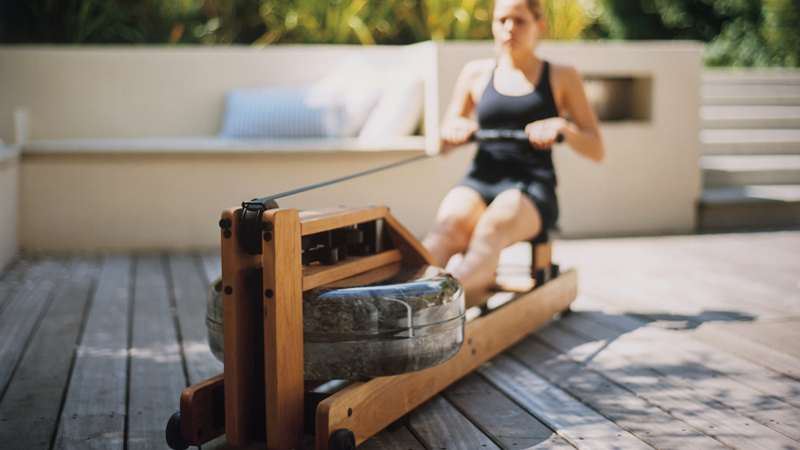 This elegant rowing machine, now available in cherry wood, builds strength and stamina by closely simulating a real world rowing experience. Its patented Waterflywheel, which moves through actual water, provides a smooth stroke that exercises 84% of your muscle mass evenly and prevents injuries. 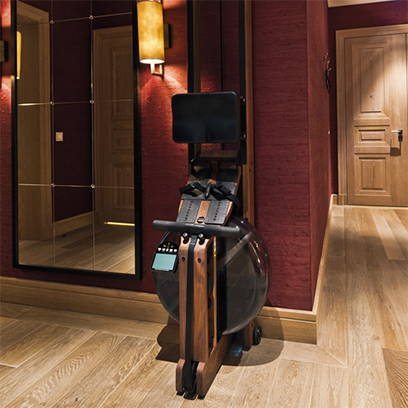 When not in use, the WaterRower can be stored vertically against a wall. Made in the USA from ethically sourced walnut wood. Assembly required. 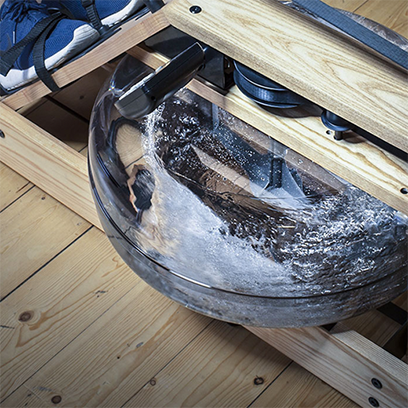 The WaterFlywheel design uses a specially formed paddle to cup the moving water, reduce slippage and produce an unrivalled simulation of the benefits of rowing. 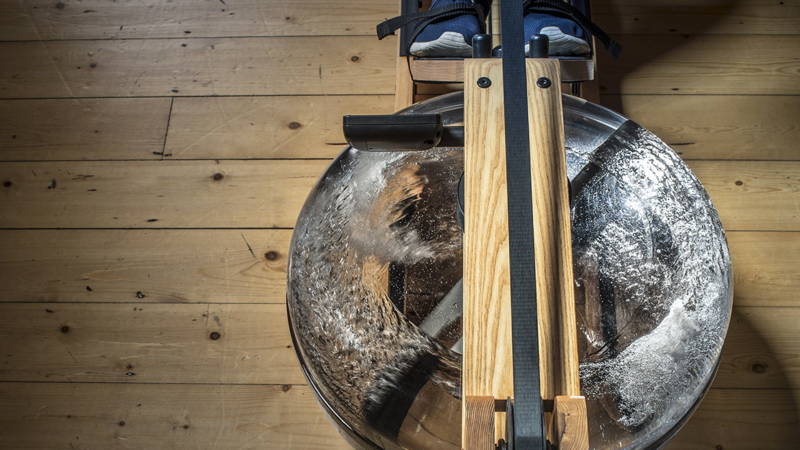 The WaterRower's patented Waterflywheel, which moves through actual water, provides a smooth stroke that exercises 84% of your muscle mass evenly and prevents injuries. 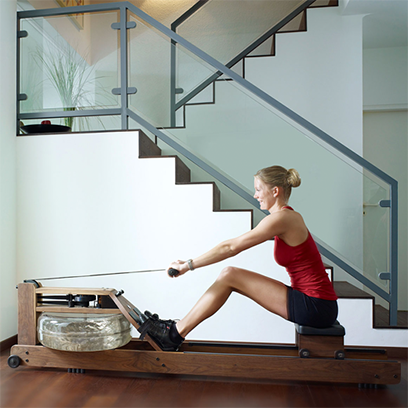 When not in use, the WaterRower can be stored vertically against a wall.